“Don't worry. 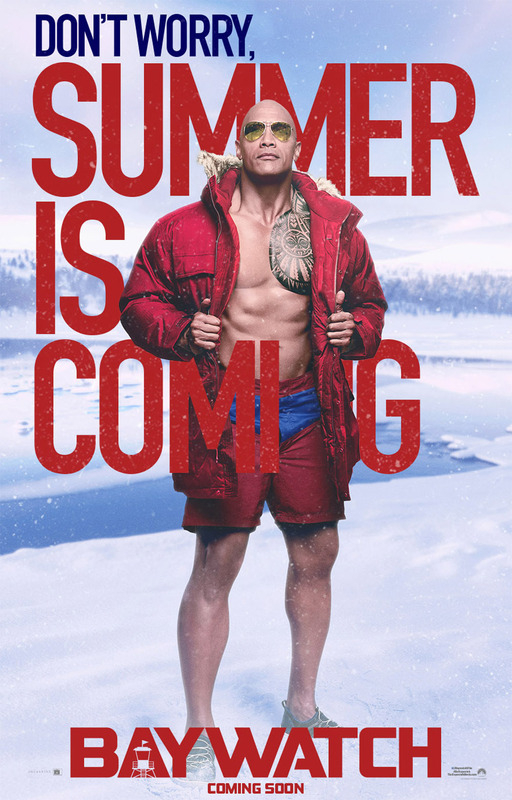 Summer is coming!” Or so herald the character posters of Paramount Pictures' highly awaited raunchy comedy Baywatch, the big-screen adaptation of the iconic beach lifeguard show of the '90s. 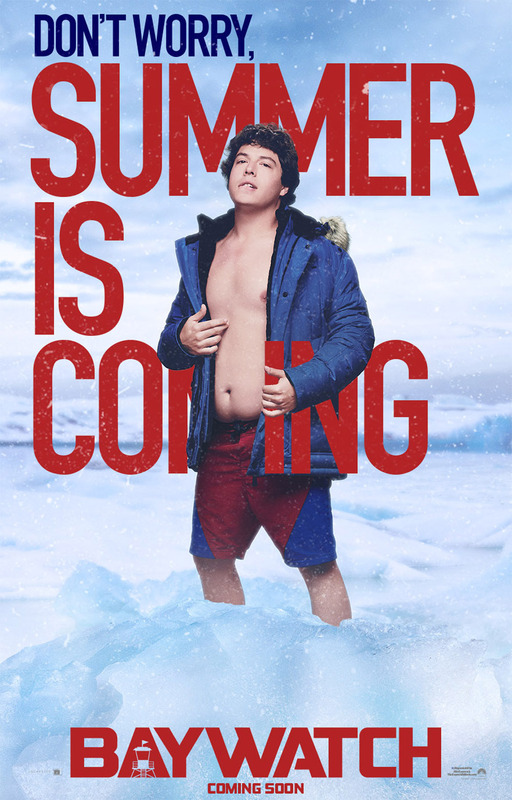 Check out the one-sheets below and catch Baywatch when it opens in Philippine cinemas on May 10, 2017. Directed by Seth Gordon (Horrible Bosses), Baywatch stars Dwayne Johnson as Mitch Buchannon (played by David Hasselhoff in the original TV series), Zac Efron as Matt, Alexandra Daddario as Summer (originated by Nicole Eggert), Quantico’s Priyanka Chopra as the villain Victoria, Ilfenesh Hadera as Mitch’s love interest Stephanie, Kelly Rohrbach as C.J. Parker (Pamela Anderson’s old role), and Jack Kesy (The Strain) and Amin Joseph (G.I. Joe: Retaliation).